Inviting an author to speak to your school is an exciting way to introduce nonfiction writing to your students. I offer different themes based on my books. Presentations are geared to the grade level and are fun and educational. 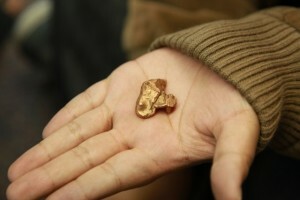 I’m a low-tech yet high-touch presenter! Students and teachers will discover strategies for reading and writing nonfiction from an award-winning author that support Common Core Standards. 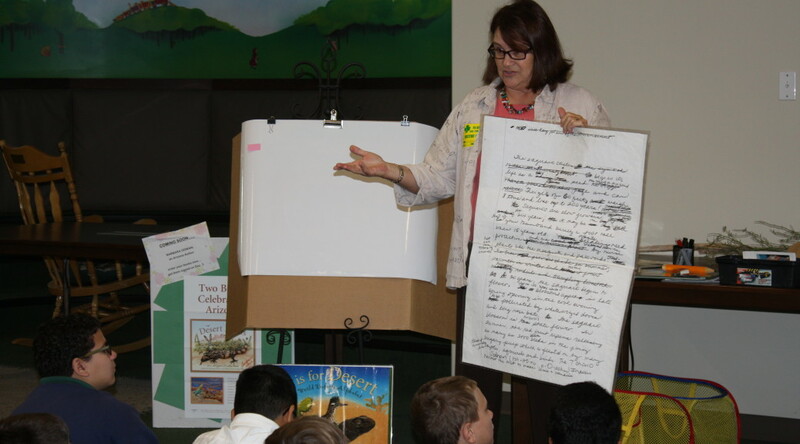 School Author Visit presentations for kindergarten – grade 3 are 30 minutes and grade 4 and up are 50 minutes. Grade level programs are multi-sensory experiences. Please limit the number of students to 100 per session. I will present 4-6 sessions in a “full day” visit and 2-4 sessions for a “half day” visit. 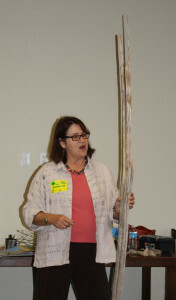 See the Build a Book page for writing workshops offered to individual classes. N is for Navajo and students are shown the process the Indians use to create beautiful rugs. 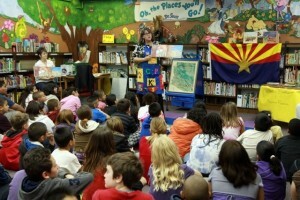 In the G is for Grand Canyon author visit presentation, younger students in K-3 grade discover the Arizona alphabet using their senses. In the pockets on my ABC apron are items to see, touch and smell. Kids have great fun pretending they are riding a mule to the bottom of the Grand Canyon while listening to Ferde Grofé’s music of the Grand Canyon Suite. Older students travel to important Arizona places while navigating the highways on a magnetic map. With grades 4 and up, I share my writing process from brainstorming to revision including copies of my rough draft and the editor’s comments on my final manuscript. That truly enforces the concept of revision. Yes, we all need to rewrite, rewrite, rewrite! 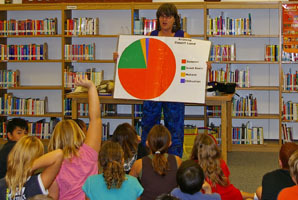 The Desert Digits author visit presentation has a math emphasis. 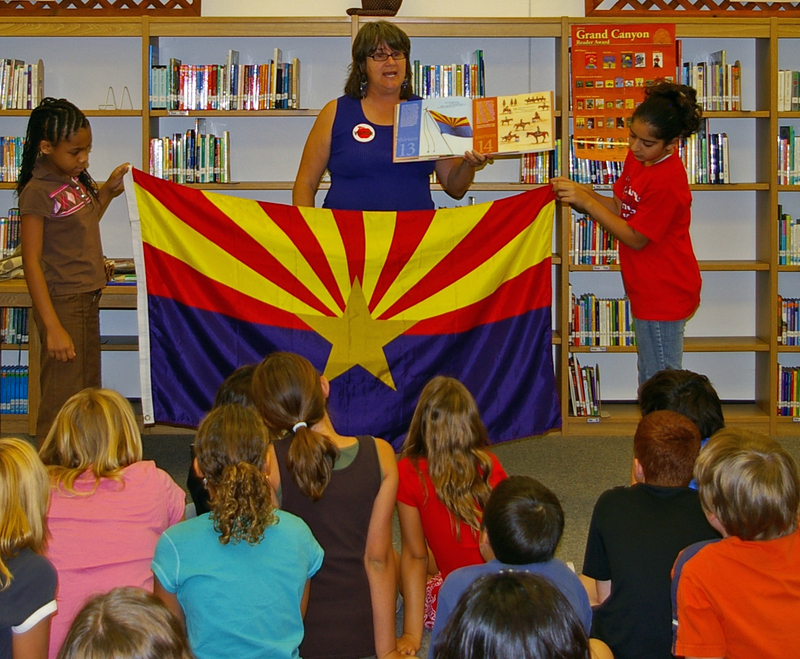 Students count the rays on the Arizona flag, skip count the legs on a scorpion and quickly calculate the number of dulces and juguetes found in a piñata. Pie charts and bar graphs illustrate the number of deserts in Arizona and the miles of Route 66. Puppets help explain the science and math concepts. How many deserts are in Arizona and which is the largest? 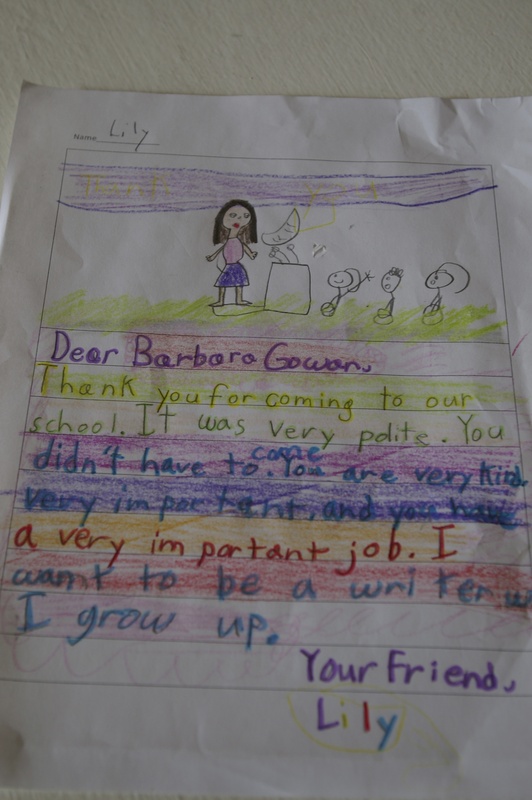 Older students will guess the “tools” found in my writer’s toolbox, be introduced to the nonfiction writing process and have a Q&A with the author. 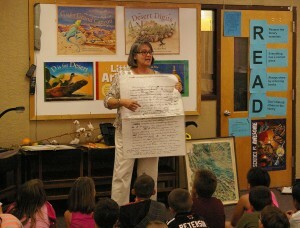 The Deserts of the World author visit is a trip around the globe. 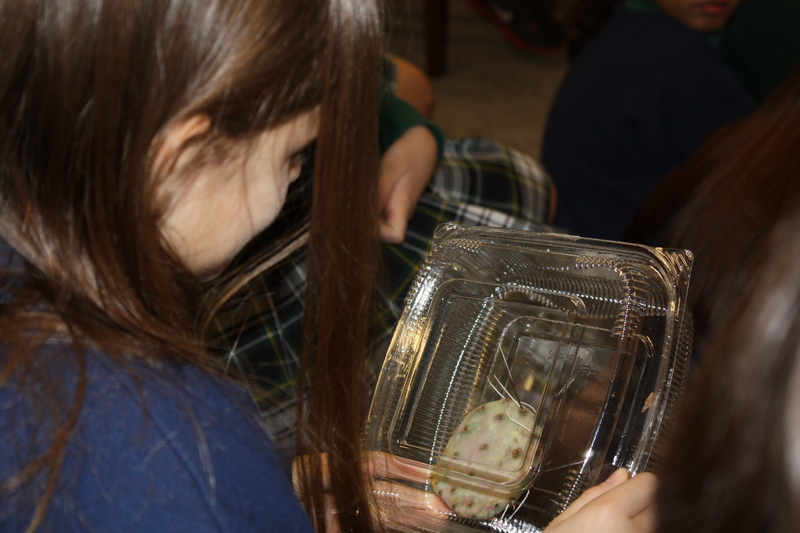 As we read the book, we add new vocabulary to our “desert dictionary.” Kids get to safely investigate the waxy skin of the prickly pear cactus. Everyone has great fun recreating the monsoon wind and rain that result in a flash flood and the emergence of the spade foot. Waxy skin and sharp spines are just two adaptations of the cactus to life in the desert biome. Contact Barbara Gowan (bgowan54@cox.net or 480-502-8697) to schedule an author visit to your school. $600 for full day 4-6 sessions; $350 for half day 2-4 sessions A mileage fee from Carefree will be added. Books will be available for purchase. Preorder forms, posters & sample book are included in the School Visit Packet. “On a scale of 1 to 10 –you’re a 20! diversified for each grade level, right on target, capturing every student’s attention and interest. We all know more about Arizona than ever before.